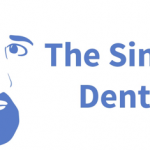 The Singing Dentist has announced the start of SmileWise, an online portal to help members of the public learn about dentistry and get personal advice on how to improve their dental health and aesthetics. It was 2015 when Dr. Milad Shadrooh posted his first of a series of dental parodies of music hits. To date the Singing Dentist’s videos have been viewed over 200 million times worldwide. On a weekly basis, Dr. Milad engages with his 600,000 followers, called the “Toothy Gang”, through Facebook Live events and Instagram stories. He was also voted the most influential dentist in the UK by dentists in a professional poll in 2017. “I love dentistry but I also have a passion for music and education. Being the Singing Dentist allows me to combine them all and because of the success of the songs, I have found myself in a position where I get hundreds of messages a day from people asking me anything that relates to their teeth. My social media account seems to be a bridge between the consumer and dentistry, but I have been inundated with requests and I just can’t help everyone alone. That is where the concept of SmileWise began” says Dr. Milad. With SmileWise, Dr. Milad and his team aim to help many more people to discover and learn about dentistry in a very accessible way. There is a team of online ‘Smile Consultants’ to field questions – all of whom have a background in dentistry. They are available to answer any smile or teeth-related question at any time via multiple channels including Whatsapp, Facebook, or even Skype. This can all take place from the comfort of the enquirer’s home and their advice is free and completely independent.